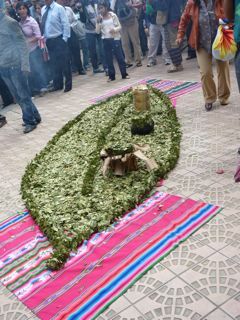 Coca growers from the Chapare (Cochabamba Department) and the Yungas (La Paz Department)—Bolivia’s two coca-growing regions—have travelled to Bolivia’s nine departmental capitals today to publicly chew the traditional leaf and to support the Bolivian government campaign to end the UN prohibition on coca chewing. 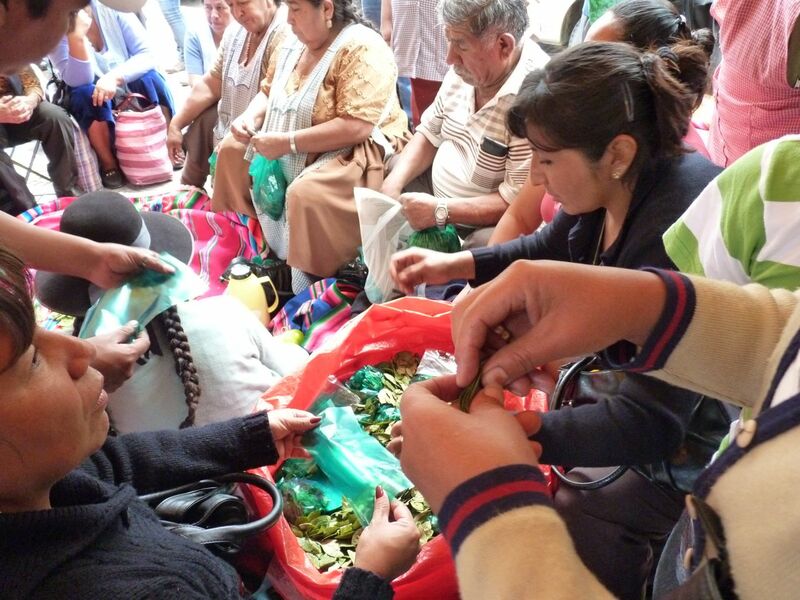 Coca leaves are a traditional crop in the Andes and are both chewed in the mouth and boiled into a tea called mate de coca. 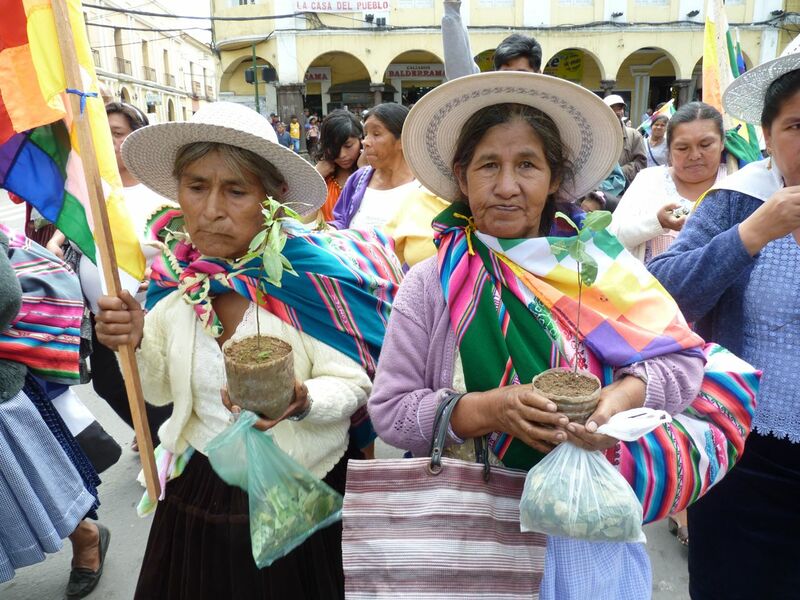 Both forms are valued for their medicinal properties and cultural role in Andean culture, particularly the protection they offer against altitude sickness, fatigue, and upset stomachs. Bolivia’s demand that a 1961 UN drugs convention be amended has attracted broad support, including from the Union of South American Nations (UNASUR) and Africa, and several countries that had expressed doubts about the move have been won over. However, the United States—a major cocaine-consuming country and the main international sponsor of Bolivia’s once-heavily-militarized war on drugs—and Sweden continue to block the move. The deadline for changing their position is January 31. 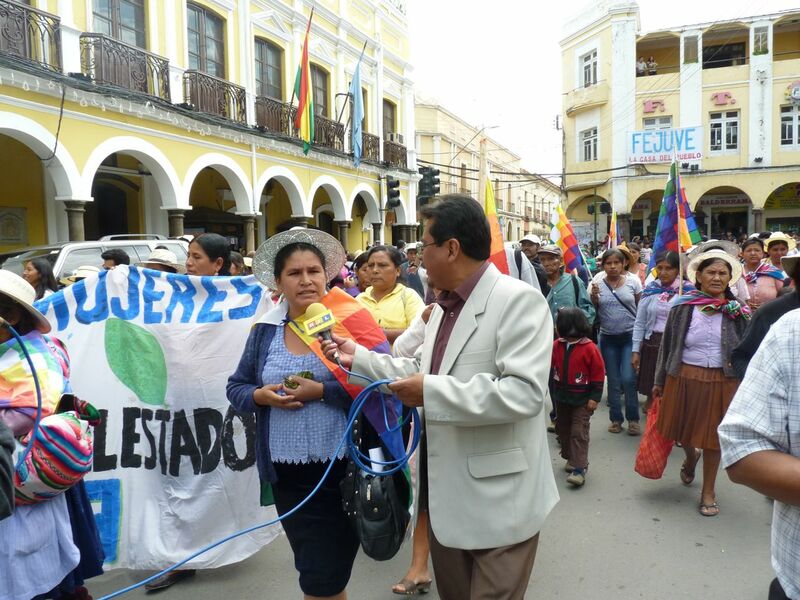 Events in Cochabamba are still underway, but here is an early preview of the gathering in the city’s main square, the Plaza 14 de Septiembre. A more complete set of photos from today’s protest is online at flickr.